So fellow travelers, life’s passage has brought me to a bittersweet moment, as our daughter and son-in-law set out for their new life across the country. This is a good beginning, one they have diligently saved for and worked hard to reach. They are excited to be setting out on a trip of a lifetime, seeing many sights as they drive across the countr to reach the city where they have wanted to go since their visit last year. A life long traveler myself, I am happy their adventure has begun and of course my heart is filled with joy to see them pursuing their dreams. And yet, somehow even with a year of preparation, the heart strings have not been easy to cut. Sometimes it takes our hearts time to pass through an inevitable crossroad of life. There are moments when we would give a great deal to slow the flow of time, to have the gift of just a few more hours on this side of change. Our hearts ache at the end of those days knowing as the sun sinks below the horizon, darkness is inevitable. For awhile we wait in darkness, restless and more than a little fearful of the voice which cannot be ignored in the silence. It asks unspeakable questions until the throbbing of our hearts grows loud enough to remind us there is life still to be lived. Just when the ache becomes unbearable, a lone bird sings, soon joined by others. A sliver of light peers above the dark horizon and a new day begins. It is then we realize there is no turning back. If we remain in the past, we have no future. Yesterday is gone and when tomorrow arrives it becomes today. Today the crossroad is here. To hold back gains nothing. Love does not clip wings. Love is the wind that carries others to their dreams. If it means a few heart strings must give then so be it. 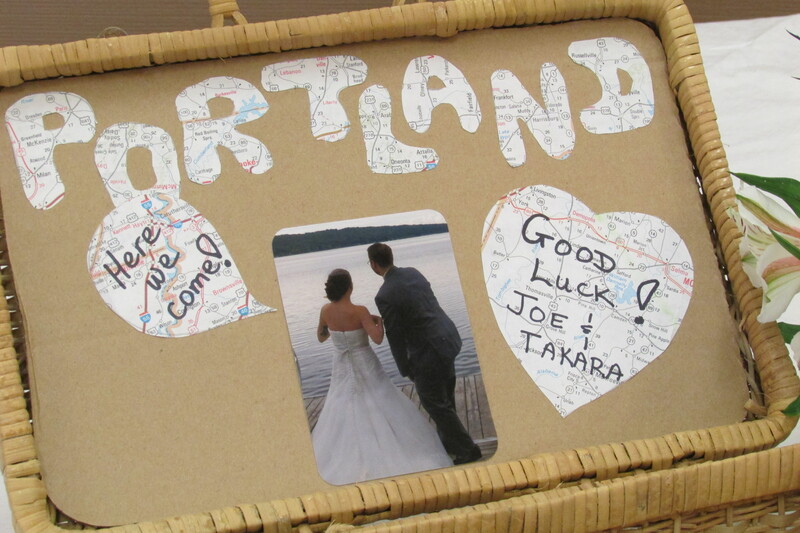 Godspeed Takara and Joe. May adventure find you ready, may your days ahead be filled with the joy of discovery and may love guide you safely to your new home together.